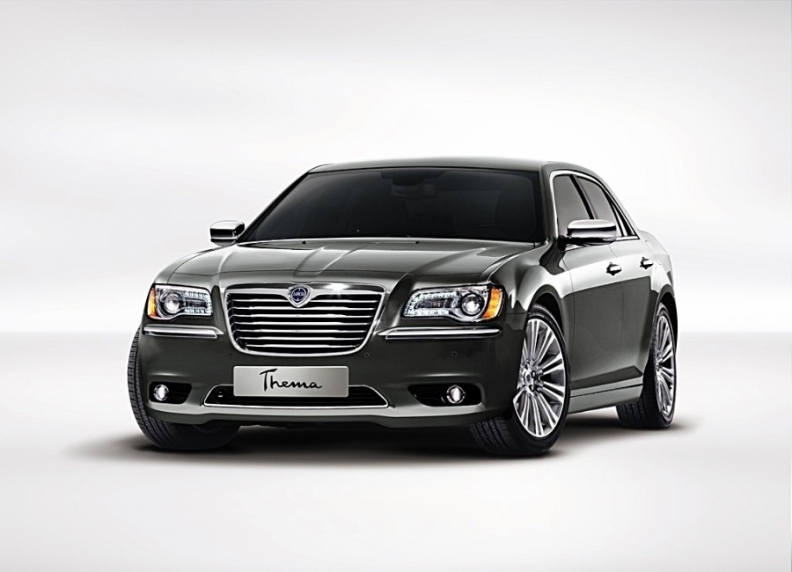 Lancia hopes the Thema, based on the new Chrysler 300, will give the brand an image boost. TURIN -- Fiat S.p.A.'s upscale Lancia brand has released pictures of a new Ypsilon and four Chrysler-based vehicles it plans to debut at the Geneva auto show next month. The Chrysler-based cars include the Thema, a rebadged version of the new Chrysler 300 large sedan, which will become Lancia's flagship car when it goes on sale in October. Lancia hopes the Thema will give the brand an image boost. It expects annual Thema sales to be between 10,000 and 15,000. About 80 percent of Thema sales are expected to be a Europe-specific version powered by a new 190-hp and 224-hp, 3.0-liter V-6 turbodiesel engine built by Italy's VM Motori and mated to a five-speed automatic transmission. The Thema will be available in two trim levels - Gold and Platinum - and will also offer the Chrysler 300's 292-hp 3.6-liter V-6 gasoline with 8-speed automatic transmission. 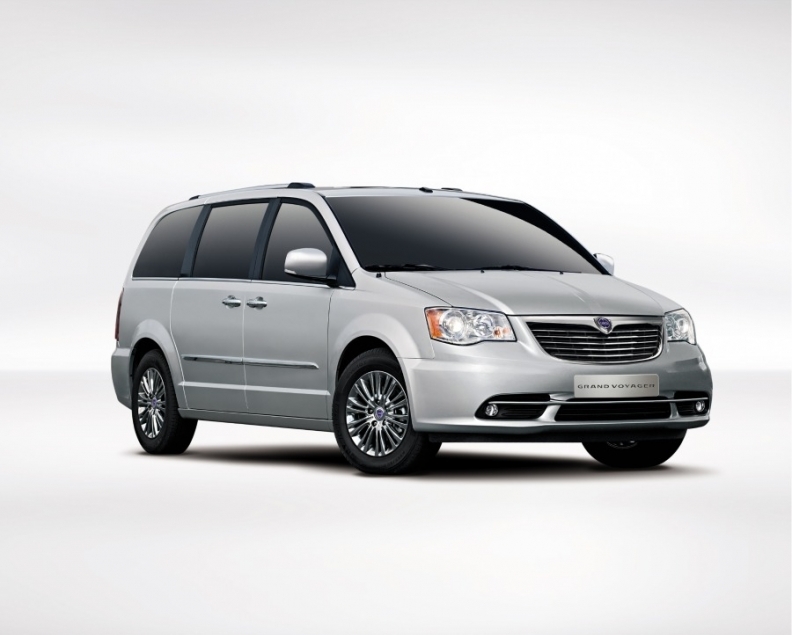 Also debuting in Geneva is the Lancia Grand Voyager, a large minivan based on the Chrysler Grand Voyager, which will launch in October. It will replace the slow-selling Phedra. The Lancia Grand Voyager will replace the Phedra. Lancia will also premier two Flavia concepts for a mid-sized sedan and convertible, both of which are based on the Chrysler 200. Lancia is still debating whether to launch the Flavia because of the high costs of adapting the Chrysler 200 for Europe and because it would have a short lifespan since a Chrysler 200 replacement is due to launch in the United States in 2013. Possibly Lancia could end importing only the four-seat convertible. The Flavia will debut as a concept. 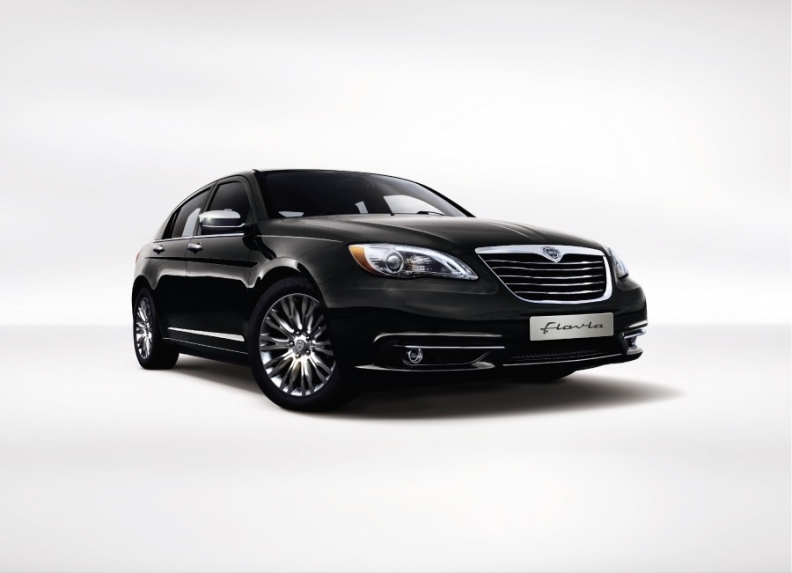 If approved, the Flavia could launch in Europe in early 2012, with a manual transmission and a diesel engine, both not part of the U.S. Chrysler 200 range. 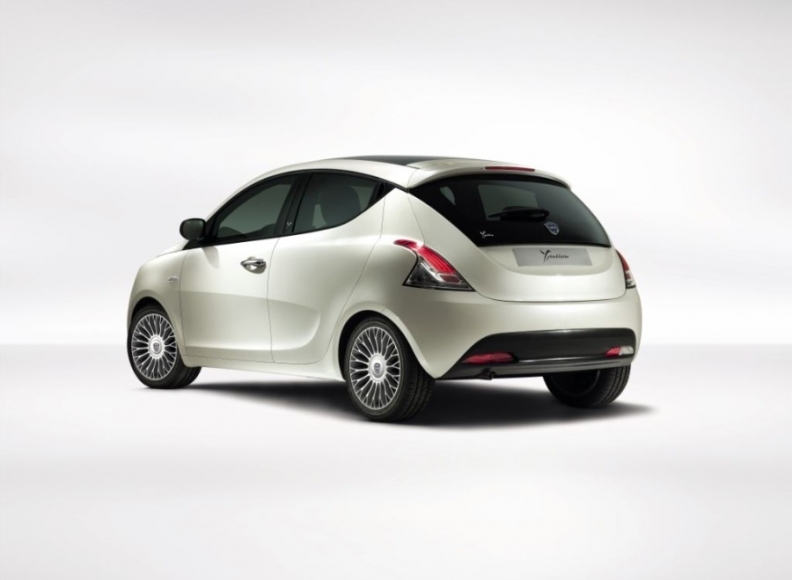 The key Geneva debut for Lancia will be the new Ypsilon subcompact hatchback. The new generation is based on a lengthened Fiat Panda platform and replaces the current Punto Classic-based car, which launched in 2002. The new Ypsilon will be sold only as a five-door model in a bid to boost sales. Five-door cars cover 75 percent of subcompact segment in Europe. There will be no three-door Ypsilons after production of the current car stops at the end of the year. The new Ypsilon, shown, will be sold only as a five-door car in a bid to boost sales. To maintain a sporty look, the car's rear-door handles are hidden in the D-pillar. The new model has a 300mm longer wheelbase compared to the current Ypsilon to boost rear legroom and make space for the extra pair of doors. Fiat's ‘thin seat' technology will be used on the Ypsilon for the first time, also creating more cabin space. A choice of three engines will be available: a two-cylinder 0.9-liter TwinAir gasoline and two four-cylinder units -- a 1.2-liter gasoline and 1.3-liter diesel. The diesel and TwinAir engines will have CO2 emissions lower than 100 grams per kilometer. Lancia aims to sell 130,000 units a year of the new Ypsilon, compared with 85,000 peak sales of the current model in 2004 and just 49,834 units last year. The new Ypsilon will go on sale starting in June. The new Lancia range will sell with a Lancia badge in mainland Europe and as Chryslers in the UK and Ireland, where Lancias are not sold.